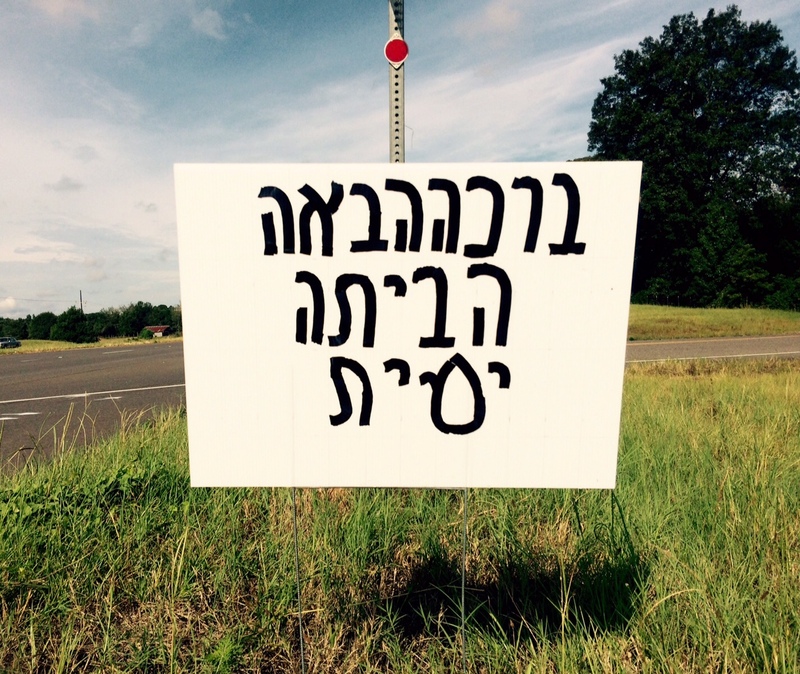 Numerous concerned citizens in Gardner, La., contacted the Rapides Parish Sheriff’s Office in mid-August to report a suspicious Arabic sign, thinking it might have something to do with ISIS or support of Jihadists. Their concerns were picked up by media around the world. The Sheriff’s Office reassured the tiny town about a dozen miles west of Alexandria that the signs were harmless. Karz-Wagman said a man in the town had met a young Israeli woman who worked in the local mall, and a couple of years ago they married. 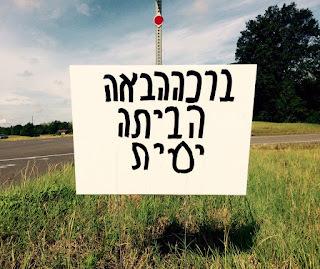 He explained that she was frequently away on business for a while, so her husband approached the rabbi a year ago and asked him to write out a welcome message in Hebrew so he could copy it onto a card for her when she returned. This time, he decided to make three yard signs for her return — but when they were seen by neighbors, alarm bells rang. “Because they were in a foreign language, obviously that spooked a lot of people to think this was some kind of code,” Karz-Wagman said, adding that it speaks about today’s suspicious society. Nevertheless, “I thought it was hilarious” that it got so much attention, especially in Israel.